A couple of years ago, I went to Austin, Texas and had some amazing food from Chuy’s. 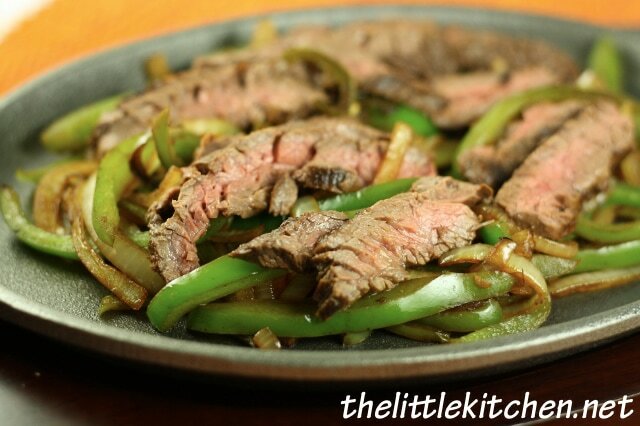 I still think about the beef fajitas I had and have always been on the hunt for a recipe. Unable to find one, I looked up their menu and it states that they marinate their skirt steak in beer. 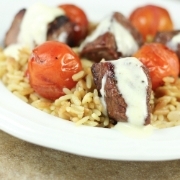 My husband was all for it so I gave it a try…beef marinated in beer can’t be a bad thing! It’s obviously not exactly like Chuy’s but it’s my favorite recipe so far for homemade beef fajitas. 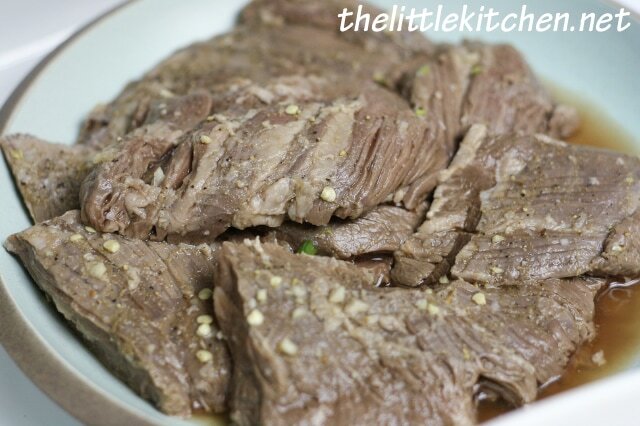 I actually marinated the beef in the beer mixture for seven hours. Next time, I’m going to go for 24 hours! 24 hour marinating is key! I used my Le Creuset cast iron grill pan and it worked wonderfully. 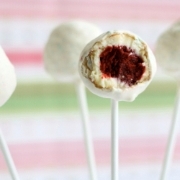 Serve it with your favorite condiments, such as sour cream and guacamole. We always serve fajitas with toppings of cheddar cheese, lettuce and tomato, sometimes I will make pico de gallo (diced tomatoes & diced jalapenos mixed with lime juice and salt. I marinated the fajitas for 7 hours. I'm sure you can do it for less if you're running out of time. The beef after 7 hours of marinating. Before putting it into the grill pan, I patted each piece of beef dry (as much as I could) with a paper towel. Add all marinade ingredients into a casserole dish and incorporate well. 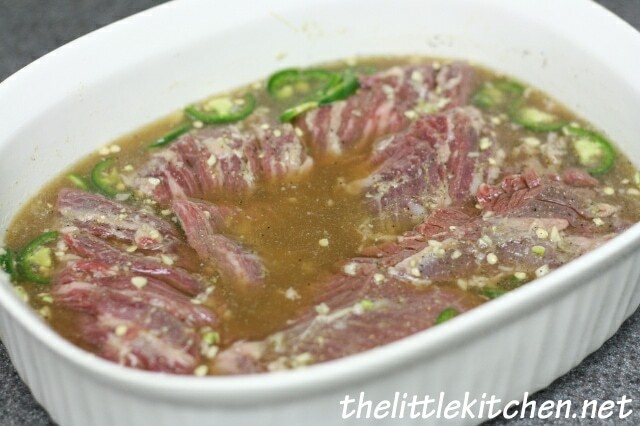 Add all skirt steak pieces and be sure that all pieces are covered in marinade. Marinate for 7+ hours in the refrigerator covered (if you’re short on time, I’m sure you can go for 30-60 minutes). 24 hours is optimum time. Remove from refrigerator at least 20 minutes before you’re going to grill the steak. Remove from casserole dish and allow to sit on a plate. Heat grill pan on low for 5-8 minutes. Then, turn heat up to medium. 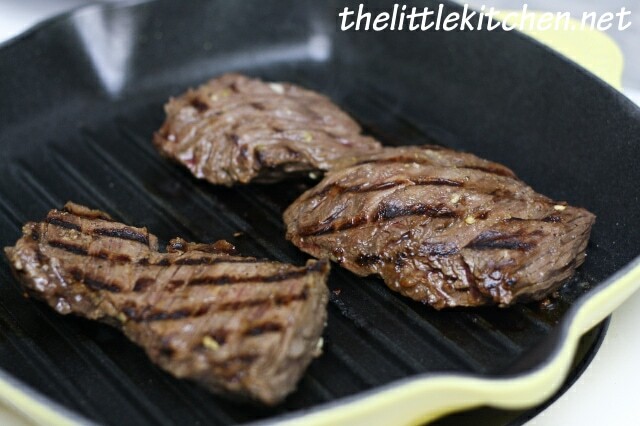 Pat pieces of skirt steak dry with paper towels and place onto grill pan. You may need to do this in batches in order not to crowd the beef in the grill pan. Cook 4-8 minutes on each side depending on thickness. Allow beef to rest on a clean plate with tented foil for at least 5 minutes before slicing the beef against the grain. 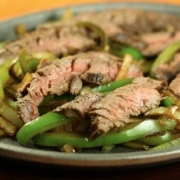 While the beef is resting, add onions and peppers to the grill pan and allow to cook until onions and peppers are soft, be sure to mix with tongs or wooden spoon frequently. The beer definitely helped tenderize the beef and the flavor of the marinade lended well to fajitas. So what do you think? Will you give a try? 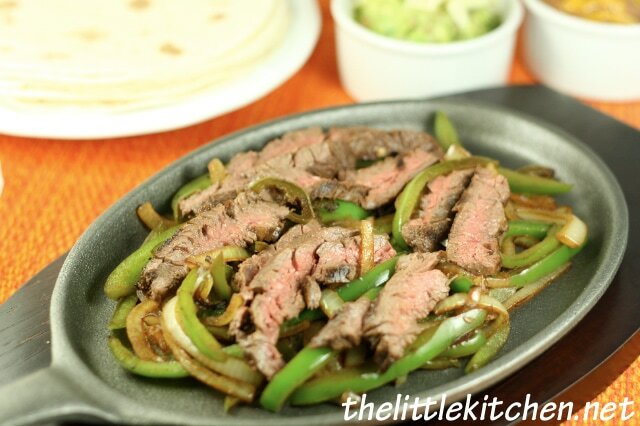 Do you have a favorite beef fajitas recipe you want to share or do you have a favorite from a restaurant? I want to hear about it. does is have to be shiner bock beer or can I use any beer? We have used other brands like Dos Equis and they work great but the best tasting and the most similar ones to Chuy’s fajitas is when you use Shiner Bock. Hope that help! Wow!! This recipe is A M A Z I N G!! pretty darn close to Chuys if not better! However be forwarned that limes are powerful tiny punches of flavor, so either follow the recipe or use less than the amount of lime the recipe asks for. I am a lime lover and decided to add one more for love’s sake and well it was a bit too powerful, so follow the lime recipe to a T or use less than as lime’s as quite powerful. Anyways, it was my fault for that mistake but other than that A M A Z I N G recipe thanks! I wish when I worked at Chuys I had taken the recipe for their exact marine mix, the only thing I took was a copy of the Cremy Jalapeno sauce lol.